Sometimes I am not as on top of all things jazz as I would like. 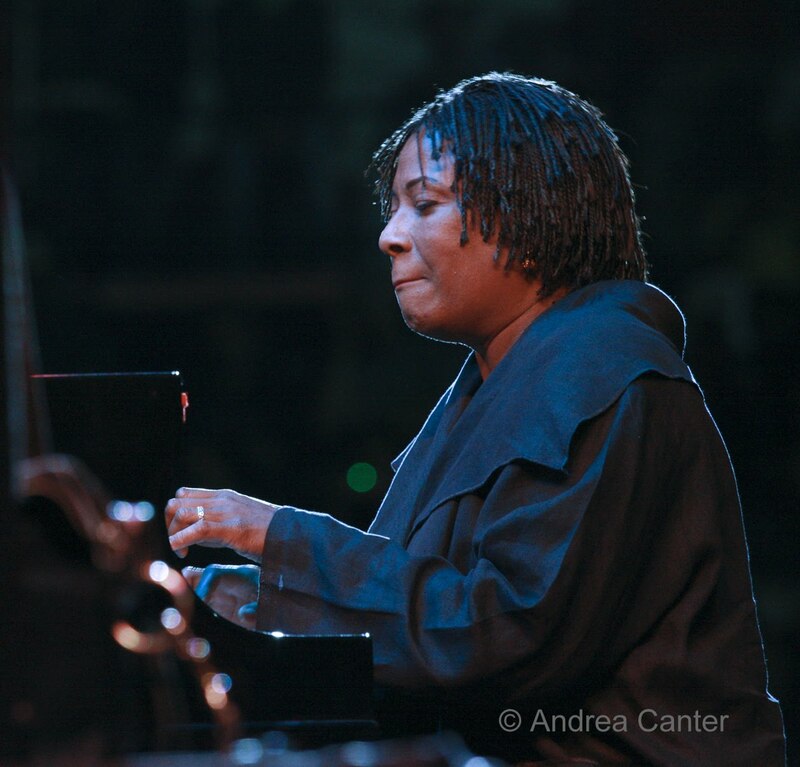 One of my favorite jazz pianists—for over a decade—is Geri Allen. Yet I only learned that she would be in town to perform at Macalester College in St. Paul about 24 hours in advance. There was a nice article about the event in the Strib -- on Friday, the day before, not much time to rearrange weekend plans. 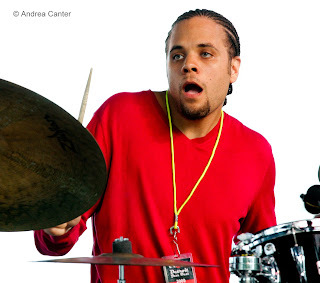 Sometimes I hear about Macalester events through their jazz faculty. Not this time. I’ll have to get myself on the Mac press list. I would have been thoroughly distraught if I had missed this one. Currently on the jazz faculty at the University of Michigan near her hometown of Detroit, Geri Allen’s career as performer/composer/educator has glistened from day one. A member of the famed M-Base Collective in the 80s, her collaborators have included Ornette Coleman, Betty Carter, Jimmy Cobb, Steve Coleman, Ron Carter, Andy Bey, Dave Holland, Jack DeJohnette and Charles Lloyd. That list alone is highly suggestive of Geri’s independent and spiritual bent, although it may be her interest in Mary Lou Williams that most reflects her musical nature as a free thinker whose art transcends classification and mere mortal interpretation. A pioneer on many levels, in 1996 she was the first woman to win the only international jazz award, the coveted Danish JazzPar Prize. I had already enjoyed Geri Allen in a variety of contexts, from her work with Charles Lloyd’s quartet (at the old Dakota in St. Paul around the turn of the Millennium) to a couple iterations of her trio (with Buster Williams and Lenny White at the 2003 Iowa City Jazz Festival, with her current team of Kenny Davis and Kassa Overall at the Jazz Improv Conference in New York in 2007 and, augmented by tapdancer Maurice Chestnut, at the 2009 Detroit Jazz Festival), as well as additional appearances at the Detroit Festivals in 2008 (with Christian McBride and with Ravi Coltrane’s tribute to his mother Alice) and throughout the 2009 festival with Karreim Riggins, Marcus Belgrave, and the Detroit Jazz Festival Orchestra. It had been years since she had appeared in the Twin Cities. Macalester College may not be well known for its jazz program, but each year the school brings in one or two guest artists for a short residency, working with the MacJazz Big Band led by local Brazilian maven and string specialist, Joan Griffith. Past artists have included Maria Schneider and Uri Caine. Allen’s appearance this week included work with both MacJazz and Concert Choir (directed by Eugene Rogers), culminating in last night’s long and varied program of big band, choral and trio works, centered around the birthday centennial of the great Mary Lou Williams. In addition to her vast book of swinging and bluesy compositions, Williams wrote sacred music, some of which inspired Allen’s recreating of The Zodiac Suite and original compositions for Geri’s Timeless Portraits and Dreams, both released in 2006. This latter recording includes works for voice, taking Allen back to her Cass Tech High School days when she sang with the madrigal ensemble. The Macalester concert roused the same spirit of Timeless Portraits, adding big band charts to the first half of the program while also revisiting Allen’s reinterpretations of Mary Lou Williams (“Scorpio” from the Zodiac Suite; “Praise the Lord” from Mary Lou’s Mass). Joan Griffith led the MacJazz Band through its paces, tackling Don Menza’s “Groovin’” as a jubilant opener and a big band arrangement by Anita Ruth of Joan’s own “Home.” With the splendid Macalester Concert Choir, the student band did justice to Irving Berlin’s “Blue Skies” and the always popular “Birdland,” and with the addition of the Geri Allen Trio, solicited high priests and sorcerers with Allen’s “Praise” and Williams” “Praise the Lord” from Mary Lou’s Mass. The choir exuded sheer elegance in the acapella “Vincent (Starry Starry Night)” while Allen demonstrated why she tops the field of modern pianists with her sequences of intermodulations and backhanded ripples on William’s “Scorpio,” backed ably by MacJazz. 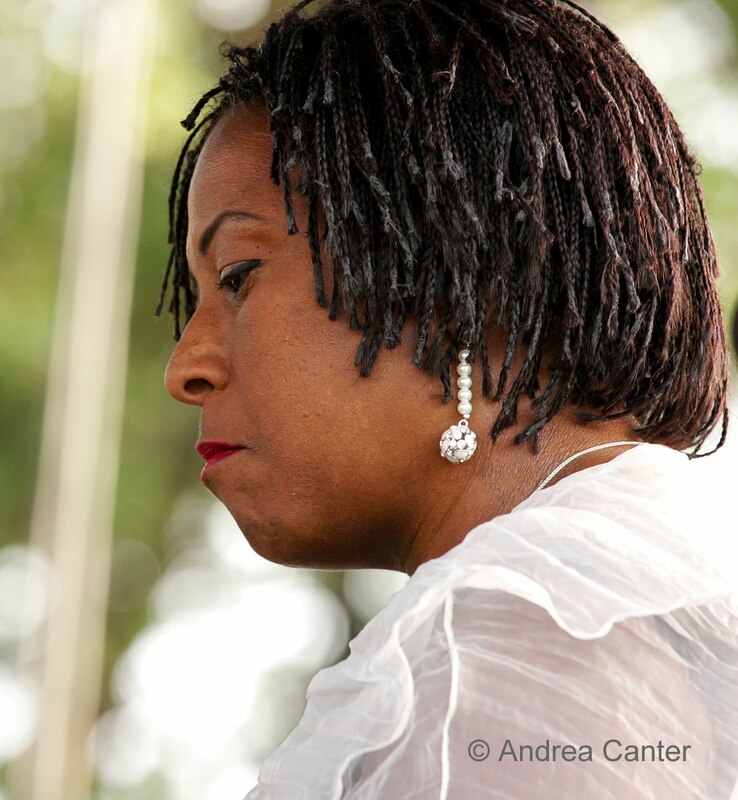 The second part of the program was a full set from the Geri Allen Trio, opening with her tribute to the late Alice Coltrane, “Swamini,” part of her Sacred Jazz Suite, For the Healing of Nations. Composed a few years ago to honor the victims and survivors of 9/11, what started as an incantation of harp-like piano passages flowed into a mallet solo bridge from the joyously expressive Kassa Overall, then bursting into a gloriously swinging post bop jaunt. Allen brought it to a more reverent closing, the last notes tinkling like garden chimes. The solemn beginning of Mary Lou Williams’ “Roll ‘Em” quickly gave way to a swaying blues, while Ornette Coleman’s “Lonely Woman” began with Kenny Davis sounding adjacent tones on bass and Allen executing a series of frenzied runs. A special treat in the trio’s performance of the other half of Allen’s For the Healing of Nations, “Timeless Portraits and Dreams” included savvy vocals from Macalester’s choir director, Eugene Rogers, once a doctoral student who worked with Allen at Michigan. The closing composition from another Allen cohort, Charles Lloyd, “Sweet Georgia Bright” highlighted the rapport among the three musicians and particularly between Allen and Overall, the young drummer making continuous eye contact with his leader as they traded patterns and grins, as if, said my friend Mike, two kids were playing the game of “Horse”—a respectful series of challenges, each round reaching a higher level of invention. 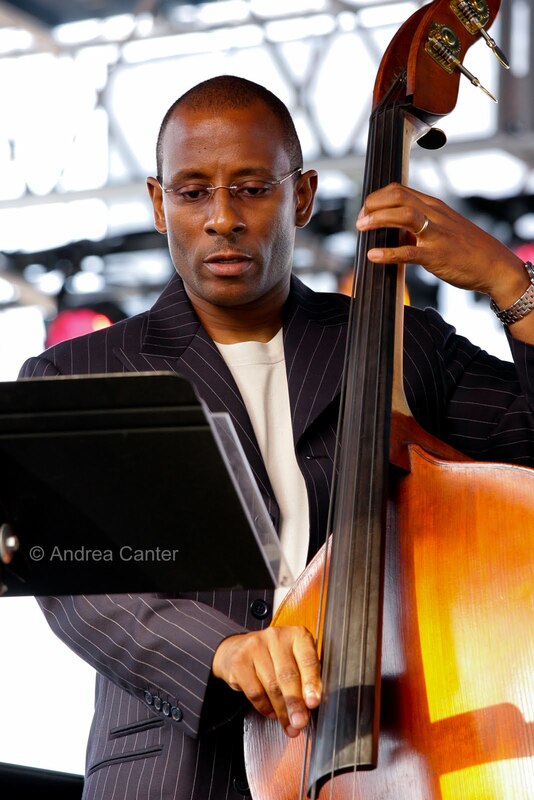 The trio has recorded a new CD with tapdancer Maurice Chestnut, due out midyear. Just a week or two ago, Allen released Flying Toward the Sound (Motema Records), her first solo recording of all original compositions, work supported by a Guggenheim Fellowship. The first 8 of 9 tracks form the “Refractions” suite, a celebration of three of her muses, McCoy Tyner, Herbie Hancock and Cecil Taylor. Thus Allen, the prolific composer, continues in the soaring footsteps of not only these three giants, but along the trajectory lighted by Duke Ellington and Mary Lou Williams, the great architects of jazz’s sacred and profane.